The St. Francis College, Brooklyn Heights, men’s soccer team won its third Northeast Conference (NEC) championship title in the past four seasons with a 1-0 victory over St. Francis University, Loretto, Pa. Junior forward Lukas Hauer delivered the match-winning penalty kick in the second overtime. Senior midfielder Sal Barone, a graduate of Xaverian H.S., Bay Ridge, was awarded NEC playoff MVP honors. The win secured the Terriers a spot in the NCAA College Cup, where it fell to Dartmouth College, Hanover, N.H., in the opening round. 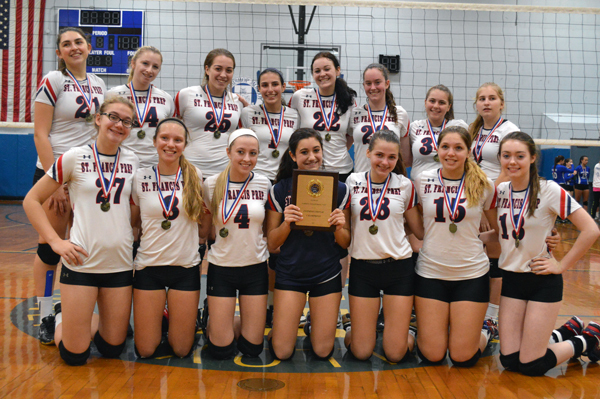 In girls’ volleyball, St. Francis Prep, Fresh Meadows, varsity won the diocesan title in Division I and then the ‘AA’ city championship. St. Edmund Prep H.S., Sheepshead Bay, was the varsity Division II diocesan champion and finished at the ‘B’ city championship runner-up. St. Saviour H.S., Park Slope, finished as varsity ‘B’ city championship runner-up. Archbishop Molloy H.S., Briarwood, JV capped off an undefeated 23-0 season by capturing the Brooklyn-Queens Division I title en route to a victory in the ‘AA’ city championship. Bishop Kearney H.S., Bensonhurst, won the Division II Brooklyn-Queens JV title and finished as the ‘A’ city championship runner-up. In girls’ soccer, in its first year with female enrollment, the Xaverian H.S., Bay Ridge, JV won the Tier 1 Brooklyn-Queens title as well as the city championship. 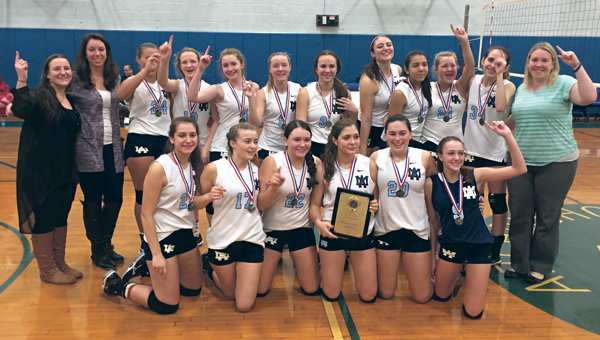 Christ the King H.S., Middle Village, won the varsity Tier 1 diocesan title and city championship. In varsity Tier 2, Fontbonne Hall Academy, Bay Ridge, won the Brooklyn-Queens title. St. Agnes Academic, College Point, emerged as the varsity Tier 3 city champions. 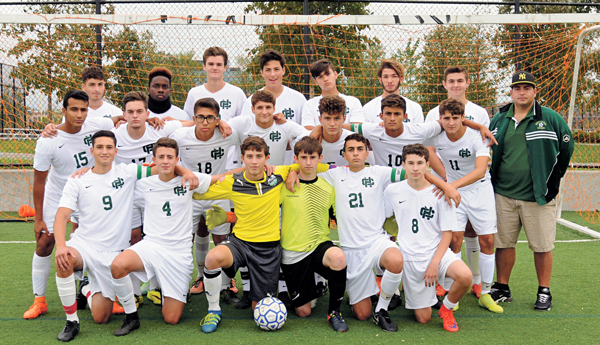 In boys’ soccer, Archbishop Molloy JV captured both the diocesan and city championship titles. In the varsity ‘AA’ division, Holy Cross H.S., Flushing, won the Brooklyn-Queens title. St. John’s Prep, Astoria, won the North division of varsity ‘B,’ while St. Edmund Prep won the South.